If you are an existing patient, we would like to thank you for trusting us with your dental care. If you are a new patient we would like to welcome you to our dental office and the dental team at Smithfield Medical and Dental Centre are committed to providing you with the personalized, high quality dental care that you deserve. At our facility, we treat everybody with the same level of respect and dignity as we would our own family. We offer patients a comprehensive list of general, restorative and cosmetic dental services designed to meet the needs of the you and your entire family. 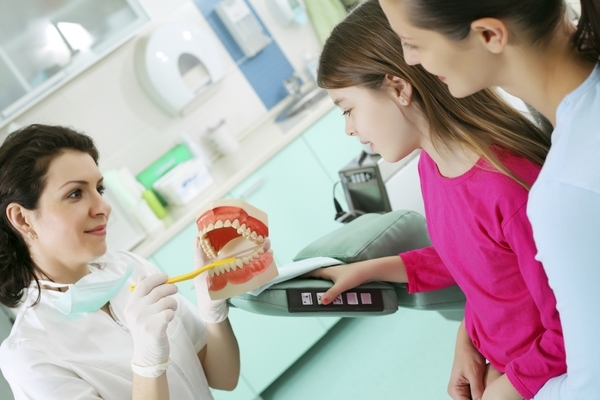 Our goal is to assist each of our patients in achieving and maintaining long term dental health and a beautiful smile. Part of our commitment to serving our patients includes providing information that helps them to make more informed decisions about their oral health needs and the dental treatments they are receiving. Visit our dental video page to watch video presentations related to the dental services we provide. We genuinely hope this site is helpful to you in learning more about our Smithfield family dental practice, dental conditions and treatments, dental recommendations, payments & insurance and more. We are excited to announce that we are Authorized Providers of Rapid Smiles. This revolutionary technique uses braces that can appear invisible, and straightens your teeth in 2-4 months, a fraction of the time as another Aligner tray technique, and a mere fraction of the cost. We are also on Facebook! be sure to follow us for regular updates, free advice, and prize giveaways! Please browse through our website and be sure to give us a call @ 02 9757 6400 if you have any questions or would like to schedule an appointment. You may also use our online appointment request form to schedule your appointment. Serving the communities in Bossley Park, Wetherill Park, Smithfield, Fairfield, Edensor Park, Cecil Hills, Bonnyrigg, Canley Heights, Cabrmatta, Guildford, Merrylands, woodpark, Wakeley, Greystanes, and all suburbs around Western Sydney. Our Smithfield dentist at Smithfield Medical and Dental Centre is a dental professional dedicated to general, family, and cosmetic dentistry with services including dental exams, dental makeovers, teeth whitening, veneers, crowns, and more. Please call our dentist in Smithfield, NSW to schedule your next appointment.